The Alaskan Brewing Co. has announced a great contest which will both reward one lucky beer fan and help make great strides in improving the environment. 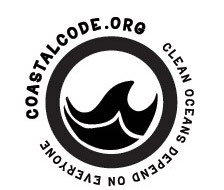 With ideas as simple as cutting the plastic rings on a six-pack of soda, or as grand as inventing a biodegradable beverage bottle, the four individuals with the topmost suggestions will join the Coastal CODE in Yakutat this fall for the 2009 Alaskan Coastal Expedition. The four chosen “CODE Keepers,” will embark on a week-long journey of Alaskan adventures including sustainable fishing and surfing, hosted by Alaskan Brewing Co., Alaska Airlines and Wend Magazine. They will learn about the impact of marine debris and how to make a difference for their own local coastlines, while helping preserve the shores of Alaska by leading a multi-day beach cleanup. Simply put, winners will experience true outdoor adventures while learning how to help maintain healthy coastlines. The all expenses paid, week-long journey will include sustainable fishing, surfing, zip lining, and much more (including spending plenty of time at the brewery itself). Applicants can submit ideas on the Coastal CODE Web site, Facebook or Twitter. All submissions are due by July 1, and chosen finalists will be asked to submit a formal application further explaining their ideas. The 2009 Alaskan Coastal Expedition will head to Alaska on September 14 and culminate in the Coastal CODE’s home port of Juneau, Alaska with a fund raising concert and cleanup activities for International Coastal Cleanup Day on September 19.